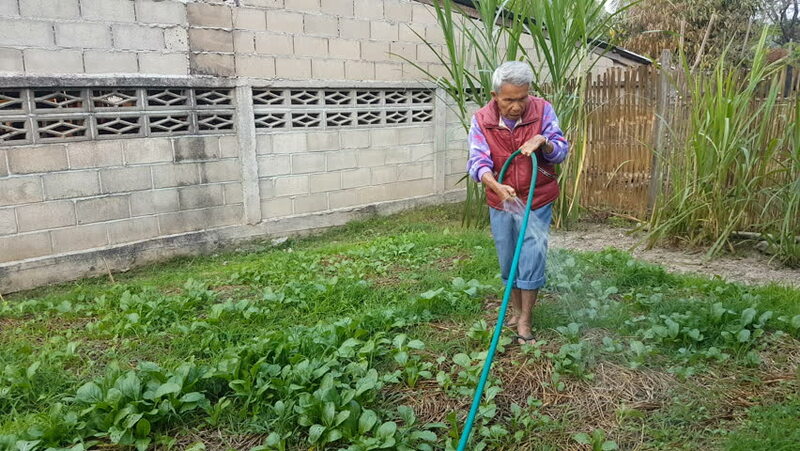 CHIANG RAI, THAILAND - FEBRUARY 27: unidentified old asian man watering plants with water from rubber tube on February 27, 2017 in Chiang rai, Thailand. hd00:27DOMZALE, SLOVENIA - 10. JULY 2018 It's a nice day to work out outdoors. A an is doing some strength exercises and a young cyclist is going by.